I am passionate about winning cases and bringing great results for my clients. You need to know your legal rights, and we can fight the big banks for you. I am a local attorney, very familiar with the Courts in the area, with over 22 years of legal experience. You can speak directly with me, for free – just click or call. Meet with Andy Lyons in person at no charge. He can review your situation with you for free and give you the next steps to taking back your life. Fighting Foreclosure – How Does It Work? If you’ve been served with documents that concern you, we should talk. …For Free. I offer free consultations to people just like you so I can educate you about your legal options. Typically, this is where I come in to help my clients navigate the foreclosure process. By defending the action, I am able to see if the bank has all of the necessary documents to foreclose. Often, there are defenses to the foreclosure action that must be filed in the correct manner and at the correct time. Having an attorney at this stage can be very helpful. When I represent my clients, the bank can no longer send them letters, call them, or enter the property. This gives my clients great peace of mind to know that I am between them and the bank. Click the button below to learn more about stopping foreclosure and the options available to you. There is plenty of advice on the Internet about handling foreclosure. Wouldn’t it be great if you could get it from an actual attorney who has a track record of winning foreclosure cases? Modifying My Mortgage When I’m Behind. There are alternatives to losing your home to the bank. 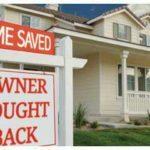 Depending on your situation, there are actually a number of ways you can avoid foreclosure of your home. If you’re behind and you contact the bank directly, you’ve likely heard “NO” already. Whatever your situation, we can explore your options together and give you a better understanding of the next steps needed. In fact, Mr. Lyons will meet with you free of charge, listen to your story and give you the options you have. We’re loved because we help people when it matters. You get a top-rated attorney with lots of experience that the banks and judges respect, who’s also local and won’t treat you like a number. Our clients love that we strive to fully understand your situation with a free consultation so that we can provide the most suitable range of options for your circumstances. We hear that our clients appreciate that we are here when you need us, and will be with you at every step of the process, regardless of the alternative you choose. We know that you will likely have many questions, and we will be available to answer every question that you have. Learn more about what people say about us and then let’s talk about your case. I want to take the time to commend one of the most ethical Lawyers I have ever had the pleasure of dealing with. Mr. Lyons is compassionate and understands our sometimes difficult situations. He makes his fair wage and does not take advantage of people when they’re down. You can rest assure you are in good hands with his Law Practice. This is a lawyer you can trust! One of the legal champions in our area. Can’t say enough good things about his firm. Big city powerhouse in a local office! He met with us for free before we decided to use anyone. He helped us level the playing field with an HOA. We love sharing our success! We also love giving out information about helping consumers when they are facing serious issues or they are being treated unfairly. Follow us on Facebook and learn about the cases we’re winning for our clients and what we are doing in the community. 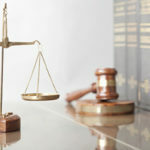 Our mission is to first educate our customers on the intricacies and little known subtleties of the legal process and with that information in hand to help you find peace of mind by simplifying the entire process and proactively acting on your behalf to support you against the lending institutions that have brought these lawsuits that are now affecting you, regardless of your personal circumstances.